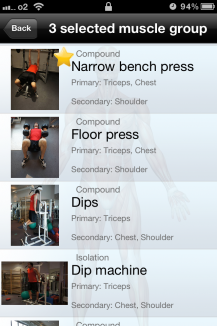 With this fitness app, you can ideally train your body. 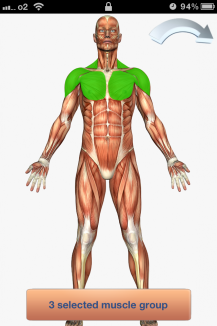 In the full body anatomy view, pick a muscle group, you want to train and you're instantly presented the appropriate exercises. Detailed step-by-step instructions guide you through the various exercises of your selected muscle group. Of course, the individual pictures are zoomable. Build a six pack? No problem! Train your pecs? 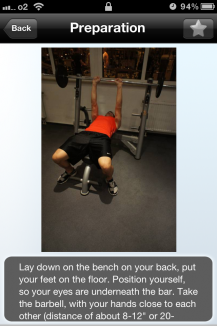 Just tap the pectoral muscles and you're ready to go. Strengthen your back muscles? 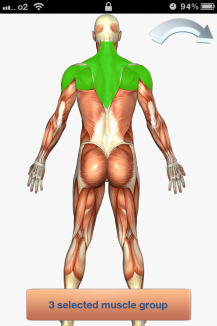 Turn the full body view round with an elegant tap and chose the back muscles, you want to work on. With a total of 117 exercises, training a perfect body is as easy as never before.